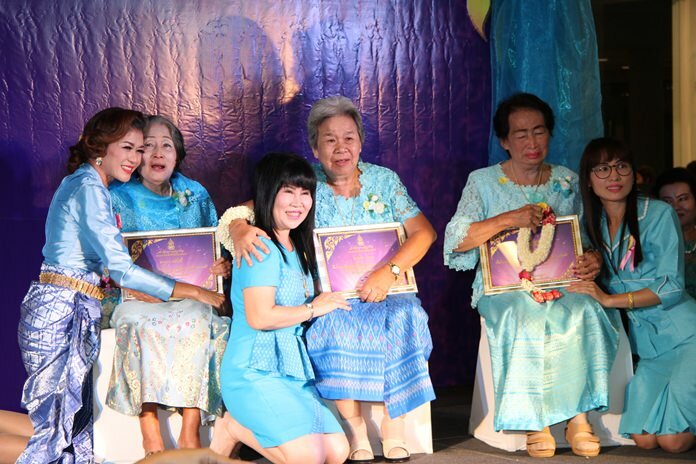 The Pattaya City Council honored more than five dozen women as the area’s “best moms” for Mother’s Day. Some of the more than five dozen women Pattaya City Council honored as the area’s “best moms” for Mother’s Day are brought to the stage with their daughters. 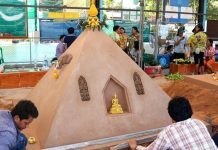 Former Culture Minister Sukumol Kunplome was the master of ceremonies at the Aug. 10 awards event at Central Festival Pattaya Beach where former MP Poramet Ngampichet congratulated the 62 women selected by students across Pattaya. The show began with a singing performance of “The Value of Milk” and a “Hands Holding the Earth” stage show by students from Pattaya public schools. After the certificates of merit were presented, the mothers all received flower garlands from students in their communities. Sukumol closed the event by leading the crowd in singing of the royal anthems.